Editing human DNA the way we edit text—are we ready? Françoise Baylis holds the Canada Research Chair in Bioethics and Philosophy. It reads like an all-caps typo from the technical manual that comes taped to the side of a new refrigerator. But CRISPR is going to change your world. It may even—quite literally—change the face of humanity. Since its discovery four years ago, the gene-editing system known as “clustered regularly interspaced short palindromic repeats” has been used by scientists to make precise alterations in the DNA sequences of living cells. It offers the prospect of treating (and perhaps even eradicating) debilitating genetic conditions, improving fertility treatments, fighting cancer, and allowing the safe transplantation of tissues and organs between species. Hemophilia, sickle-cell anemia, and muscular dystrophy are just three of the diseases that could eventually become treatable thanks to therapies developed through CRISPR. In late 2015, for instance, three groups of scientists reported that they could infect muscle cells in living ­Duchenne muscular dystrophic mice with a virus carrying the CRISPR/Cas9 editing cassette. (The latter alphanumeric term refers to a CRISPR system that employs the Cas9 protein.) The researchers then edited the defective dystrophin gene in enough cells to improve muscle function. 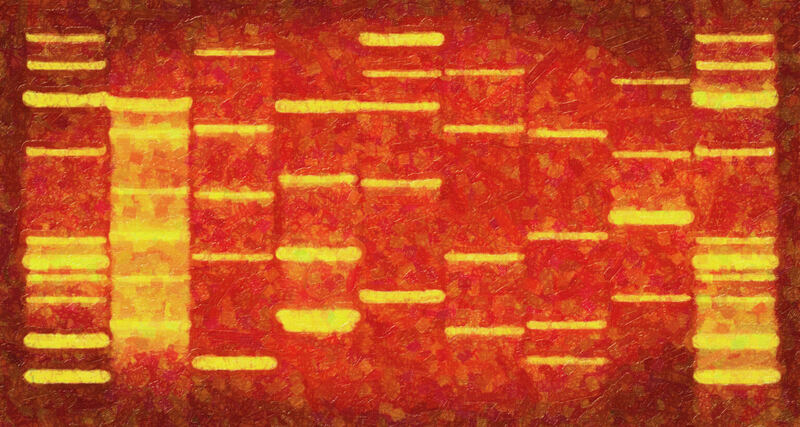 On the other hand, CRISPR also ­raises the spectre of a Gattaca-style ­bioethical dystopia. The technology, some warn, might open the door to large-scale bioterrorism or monstrous, genetically altered human variants. Using CRISPR/Cas9, scientists can make precise genetic alterations to early-stage embryos that are precursors of all the cells contained in a human body. Crucially, this includes the eggs and sperm. Alterations to these “germ cells” are heritable, meaning they will carry over into succeeding generations. This is commonly referred to as “germ-line gene editing.” So far, lines of genetically altered plants, flies, fish, mice, and even monkeys have been produced using such gene-editing techniques. The clustered regularly interspaced short palindromic repeats employed by CRISPR are genetic sequences that were first discovered in bacteria some twenty years ago. A clever series of experiments and DNA detective work in the early part of this century led to the discovery that CRISPRs carry bits of viral DNA—and use copies of this ­sequence to ­recognize and target any ­invading virus with an enzyme (typically Cas9) that cuts up and destroys viral invaders. Interestingly, many of the early advances in this technology took place in the yoghurt industry, where scientists were looking to get rid of viral infections in the lactic-acid bacteria that make up ­industrial cultures. In 2012, two researchers, Jennifer Doudna and Emmanuelle Charpentier, pulled all the pieces of the CRISPR/Cas9 puzzle together into a functioning module that could guide the scissor-like action of Cas9 to target not just viral DNA, but any specific DNA sequence. Then, in early 2013, Feng Zhang and George Church published back-to-back papers in the journal Science in which they showed that this process could be made to work in living mammalian cells at a startlingly efficient rate. Genes can be cut, deleted, added to, and altered using mechanisms similar to the editing functions on a word processor. And so the race began. Scientific reports of new CRISPR/Cas9 uses are now exploding. Gene-editing companies are proliferating. Patent battles are taking shape. And clinical trials for treating diseases using somatic-cell gene editing are underway. It is impossible to predict what the ­limits of this technology might be. The time to consider the ethical implications of ­human germ-line gene editing is now. This is where the conversation among scientists and bioethicists turns ­toward new frontiers that involve human enhancement. How about human babies who are ­genetically programmed to ­resist diseases such as HIV? This could probably be done with CRISPR by editing out the receptor for the AIDS virus. Or how about reducing the risk of heart attack? This might be possible by editing out a gene called PCSK9. You can see how we get to a slippery slope. How about muscle mass? ­Intelligence? Hair colour? That may initially seem straightforward. But scientists and policy-makers could take radically different approaches to the “balancing of risks, potential benefits, and alternatives.” Even if only a handful of governments, research institutes, and well-funded entrepreneurs press ahead with human germ–line manipulation projects, we will be facing a watershed moment in the genetic development of our species. When it comes to editing the human germ line, we need to come together across nations to explore new horizons thoughtfully. More specifically, we need to ask and answer serious questions about what the future might bring. The choices we make today will affect our evolutionary story forever. Janet Rossant is a senior scientist at Toronto’s Hospital for Sick Children.